Looking for a new place to find exclusive home style? Well, the news is good -high street home store dwell are opening a new store at Lakeside. The new store will be their 22nd and to celebrate this will be the first store to hold the full AW12 collection when it opens on 24th August. 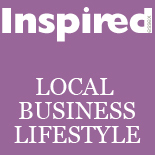 This entry was posted on August 1, 2012 by inspiredessex in Essex Events, Home Style and tagged Chelmsford Magazine, dwell, Essex Magazine, home furnishings lakeside, shopping essex.